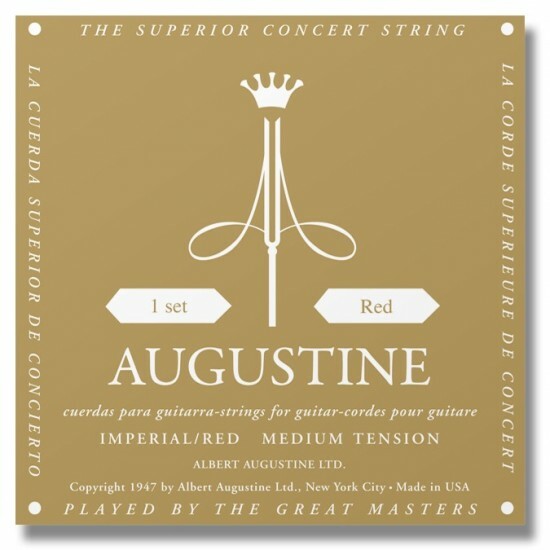 The Classic Black formula was the original Augustine string set developed by Albert and Rose Augustine in 1946 to Andres Segovia's specifications, however, Segovia also used Imperial Red sets in the 1980s after they were introduced. Always affordable, quality products. User friendly web site. Speedy delivery. I’d like to see a sbm app if there isn’t one already. It’s the only place I buy strings. This is a well made product. It clamps onto the guitar securely, much better than guitar rests with suction cups, which always seem to come loose. The leg rest is covered in leather which does not slip and is more secure than fabric coverings on other rests. I am pleased with this product. The delivery was very very fast and efficient. Strings By Mail is a great resource. I rate this transaction as five stars. The Augustine strings presented some tuning issues. The quality of the tone is fair for the price but the 3rd string gets sharp after the5th fret.